For years I was afraid to love. I was afraid to give another human being my heart, my trust, my everything. Love can be scary. Reading books about love, magazines about love, watching movies about love, and seeing how love was dealt and dished out in my home growing up left me with questions. Questions like: Is this for me? Can I seriously love someone for the rest of my life? What if love doesn’t work out the way I want it to? What if someone breaks my heart? Will I ever recover? When it came to love, for me, during my teenage years I wanted to experience something real but I was trapped in a game that most young men play. Which is, abuse love, make it seem real to women, lie to women to get what you want, just don’t get caught up in your own game. I was scarred. Not many good examples around me, fighting against the system in which I grew up in, the games I played with hearts and trying to find my pathway in life, the Creator of love met me on my journey in life. I heard about a love that was unconditional, a love that was unchanging, never ending, a love that was powerful enough to change my heart, my way of life, thinking, and actions. This type of love that I was hearing about intrigued me. It didn’t seem real. I certainly knew I didn’t deserve to experience a love so genuine; especially given the way I was abusing love. But I got captured! A 17 year old young man, fighting against his environment, fighting against what everyone else was doing, fighting against becoming a statistic, fighting against society, culture, fighting against lust; the battle to living in love certainly seemed like a battle that could not be won. In this process of allowing this great divine love to capture me I had to come to the realization that I had to let go of everything I knew, everything I had been taught and throw it out the window. There I was. Standing at a cross road where my past and future were clashing. There in the present was a Savior calling me to let go and stop being afraid of change. To stop being afraid of His great love. Not sure about you but change can be scary. It’s not easy letting go. Think about it. The God of the Universe, the Creator of all, desiring you to give up your life to come and be apart of something greater. To come live with Him. Is that not crazy or what? Being afraid to love and not knowing how to love is a real struggle. Is it easy to love? No, it’s not but having a God that helps, a God that provides, a God that guides, makes it all possible. 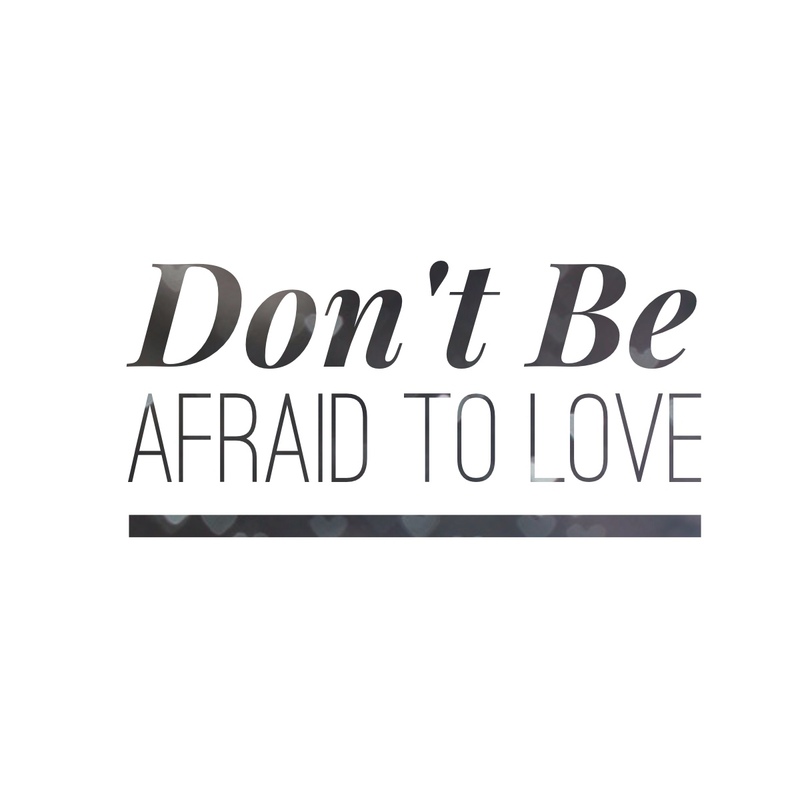 We don’t have to be afraid anymore to love. We can let go of our doubts, insecurities and we can love freely. We can love with everything we got. We can love with every fiber. As we love our God and continue to develop our love relationship with Him, He will shape each love relationship in our life. Love is the greatest gift of all and I want to continue to live and dish out all of the love I have to give while I am here on this earth. Amen! ?